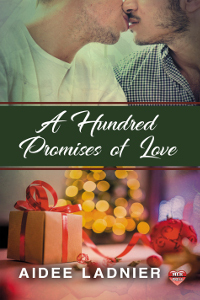 For Ethan and Nico, a broken millefiori ornament is more than a few shards of glass--it's a chance at finding love at Christmas. Ethan Carson wants to treat his mother to the perfect Christmas while she's visiting over the holidays. He's spent all his savings on presents and bought an enormous tree that takes up half his living room. But when he starts to trim the tree with the family heirloom decorations, he finds her favorite ornament, the one his late father bought on their honeymoon, is broken. Glassblower Nico Kazan doesn't celebrate Christmasâ€”unless you count trying to sell the art glass in his gallery to holiday shoppers. When Ethan, the object of his secret crush, asks him to recreate a broken Murano ball, he knows it will take more than his skill and time. Can he risk his heart to give Ethan back a symbol of love and family for Christmas? Scars and a tattoo may be the only physical reminders from his years as a slave, but when Jimenez suffers a setback in his medical treatment, the only option is a therapy that will wipe away all his memories of the past including his time with Teo. Teo, torn between supporting his lover's decisions and the good intentions of his family, sets out to teach Jimenez about Spindrift Gifts and how memories are celebrated on Celos even when they are painful. Can Teo and Jimenez weather the storm to find their happily-ever-after on Celos?